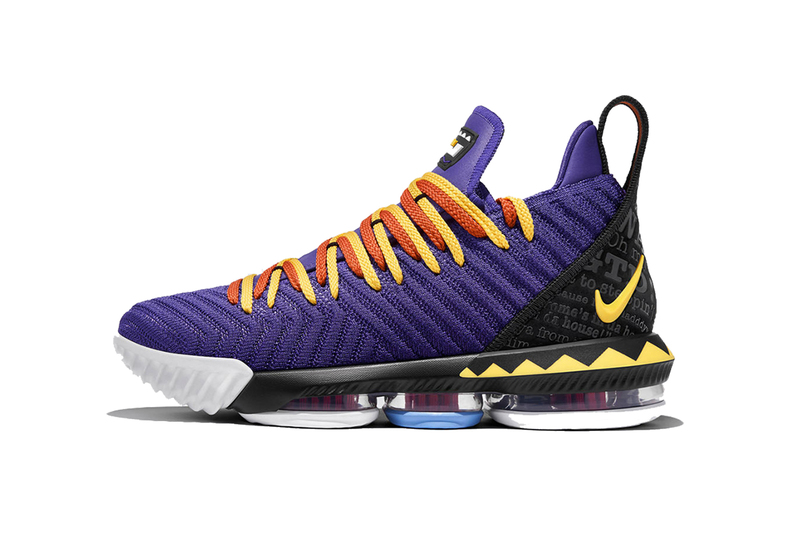 Debuted on April 5 against the Los Angeles Clippers, this pair of LeBron 16s sport a color theme that reflects the Martin Lawrence-led TV show, with the LeBron James logo sporting a similar look to the show’s opening theme logo, and with catchphrases scattered throughout the heel portion of the shoe. The majority of the uppers see Royal Purple, while hits of orange and yellow can be found at the Swoosh logo, laces, and midsole. In other footwear news, Converse drops a psychedelic Chuck 70 collection for Spring. BROCKHAMPTON released an alternate version as well.